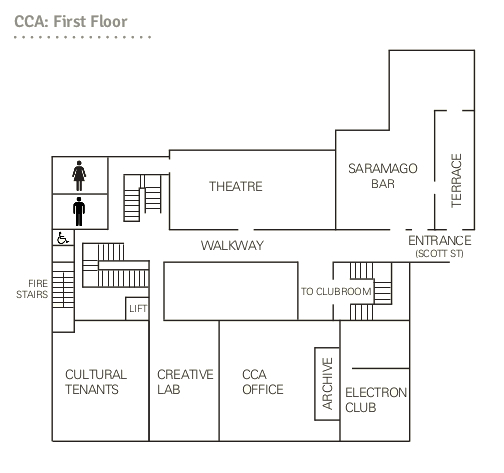 CCA is a hub for arts events, cultural organisations and artists. Alongside CCA’s visual arts programme of exhibitions, artists’ events and residencies, the venue is host to a range of festivals, creative organisations and arts groups who bring their own events to CCA through our open-source approach to programming. All public events are listed on www.cca-glasgow.com; information on planning your visit and CCA’s Access Statement are also available online. Entry to our exhibitions, and many of our partner events, is free. 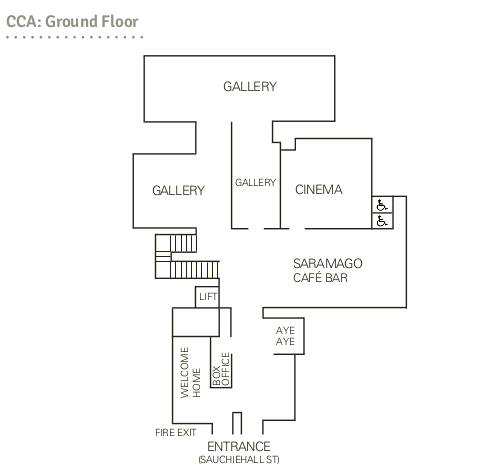 CCA is also home to Saramago Café Bar (ground floor) and Terrace Bar (first floor), and shops Welcome Home and Aye-Aye Books (both ground floor). 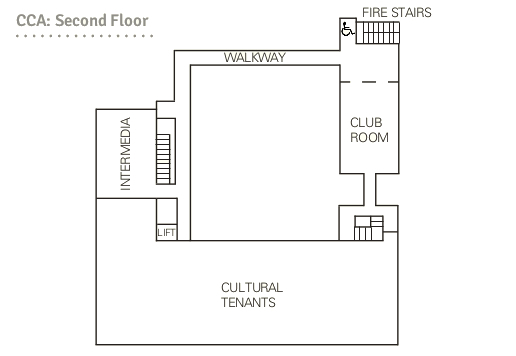 All floors can be accessed via the lift or the main staircase. Free wi-fi is available throughout the building, please ask at Box Office or Saramago Café Bar for the current password.